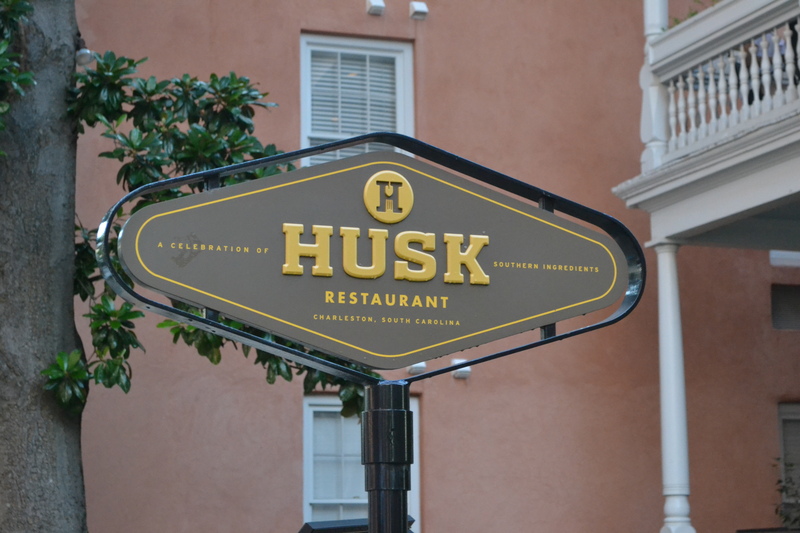 husk, charleston | Is there any wine left? 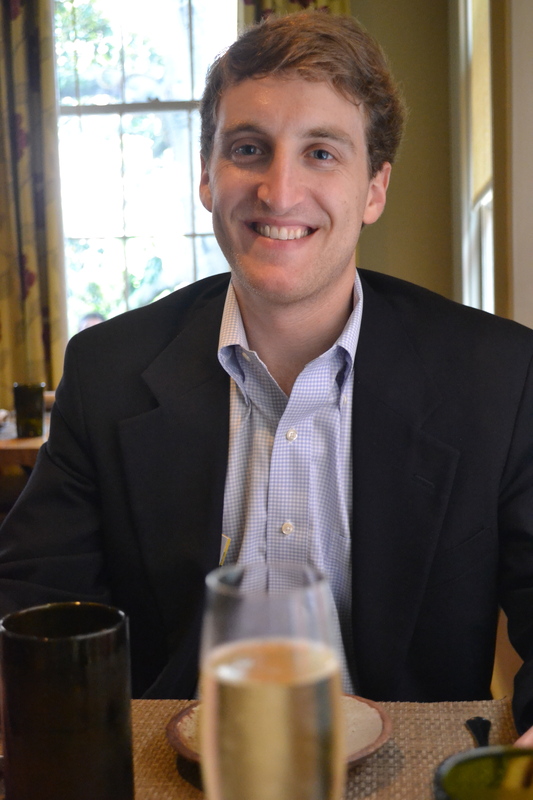 Earlier this summer we went to Charleston to eat. No, actually, we went because a friend was getting married in Hilton Head and we’d never been to Charleston and it was so close and we thought it would be fun and why not and so on. But really, when we got there we just ate. I’ve read Southern Living long enough to know that the town of Charleston is a treasure and that it has restaurants to match, but it was such a treat to experience it firsthand. 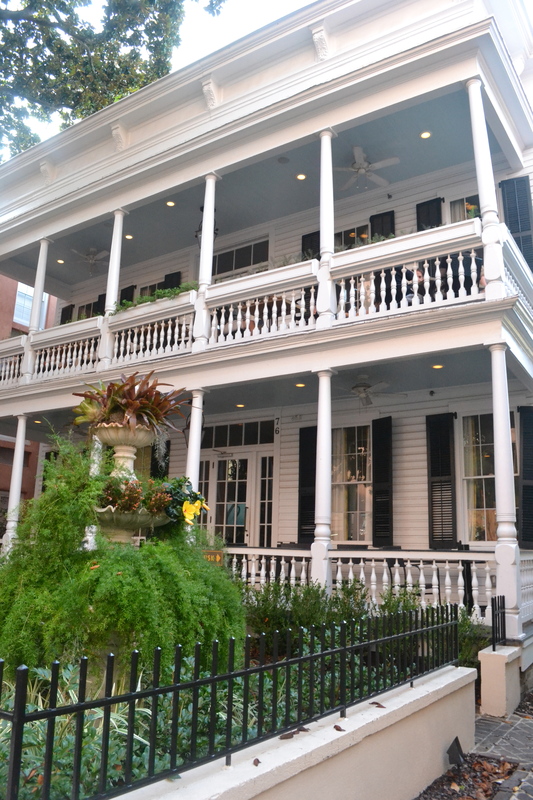 After getting settled into our darling hotel (which the bellboy said was “new” because it was built after the Civil War) we had dinner at Husk, which was in an old home in the historic district of Charleston. 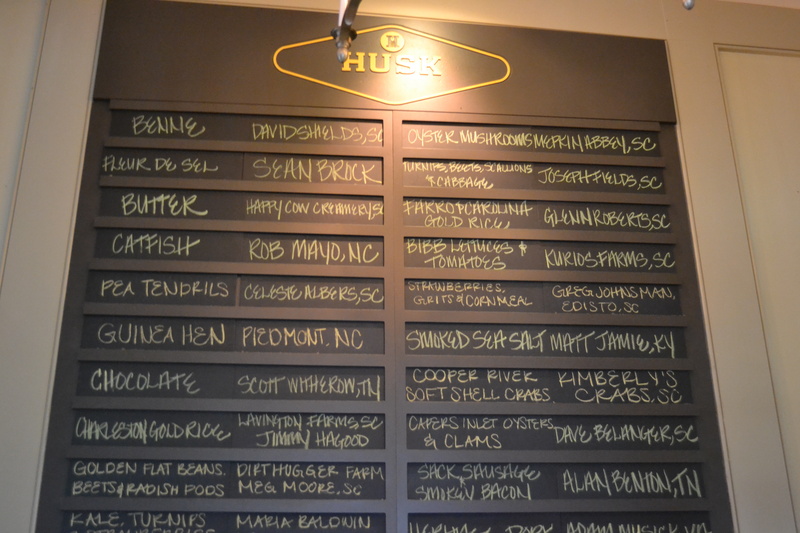 Husk is ingredient-driven and has a big emphasis on using locally-sourced foods. This chalkboard just inside the front door lists all of their purveyors and suppliers. They don’t even use olive oil because there isn’t one made in the south up to the chef’s standards. But don’t for a minute think that we were at risk of not getting enough fat/oil in our diet. 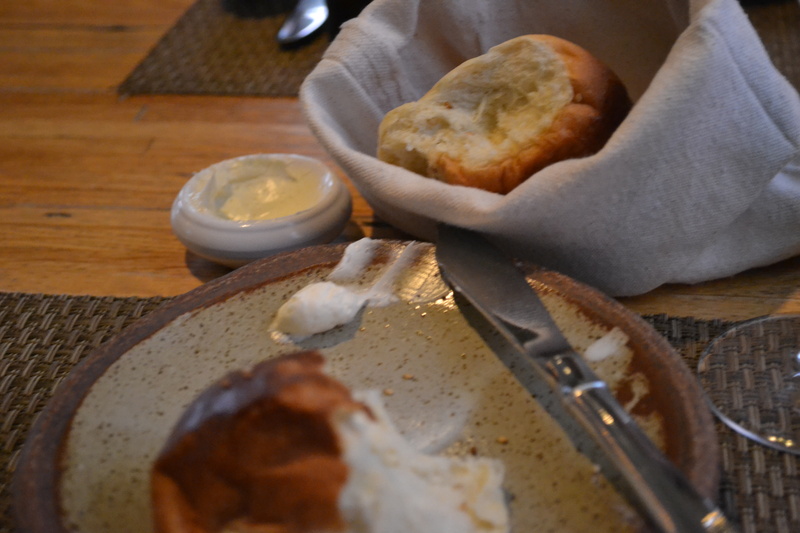 The butter served with the rolls (also known as “the best butter Katie has ever eaten because she is still talking at length about it”) is made by whipping butter with pork fat and honey. Hard to believe, but it was good. 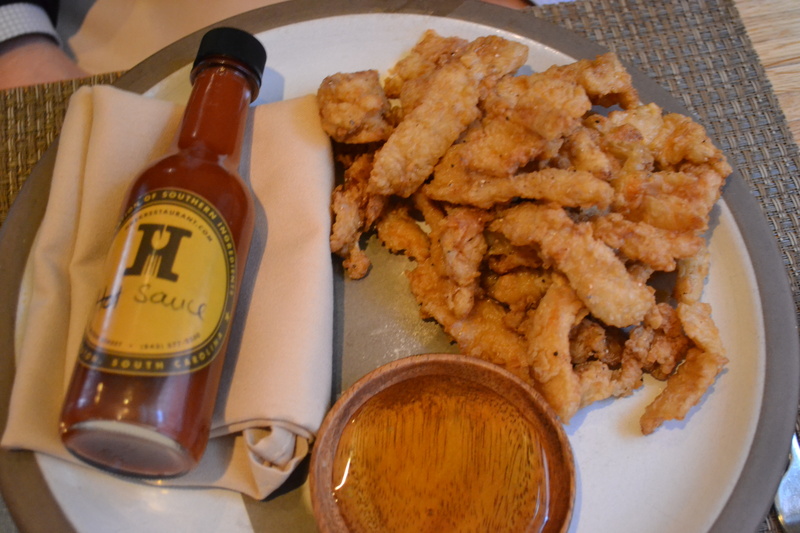 Continuing on our cholesterol challenge, Whitney ordered fried chicken skins with honey and habanero sauce. Yes, fried chicken skins. 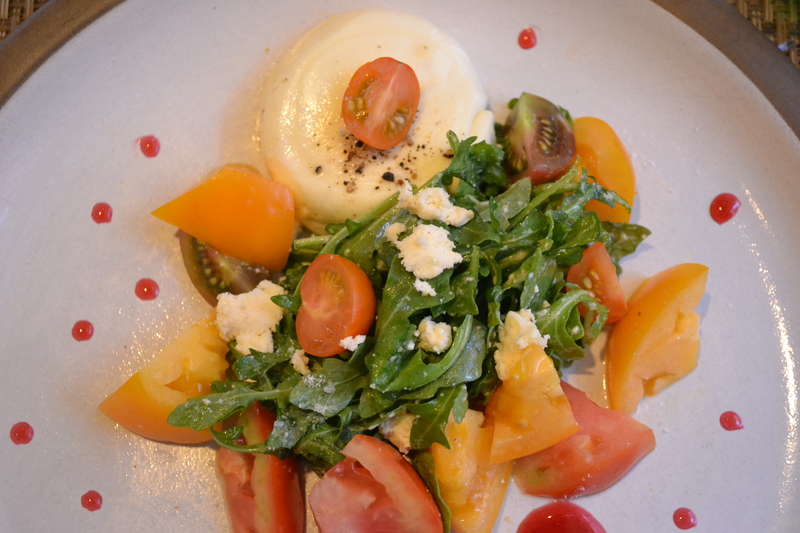 I had the heirloom tomato salad with arugula, house-made burrata, plum vinegar, and ricotta whey dressing. I am a sucker for heirloom tomatoes and this dish did not disappoint. We split an entree (I’m sure you don’t even have to ask why). 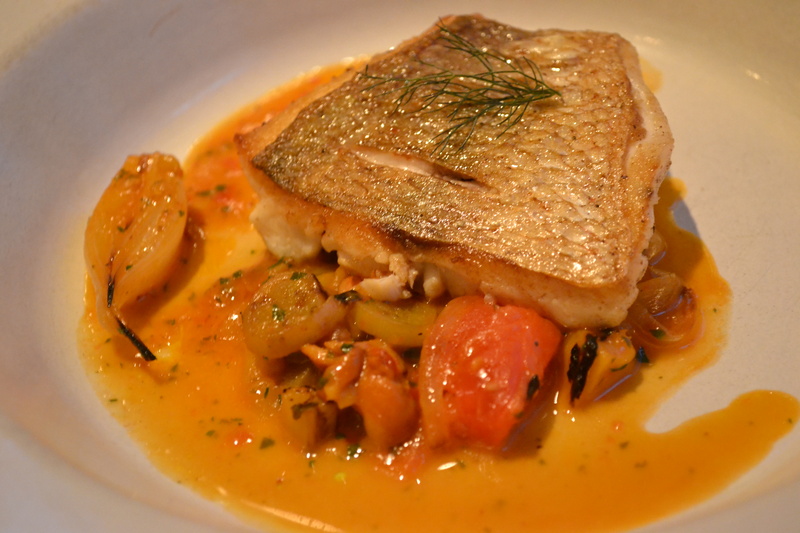 It was Atlantic porgy (a fish similar to snapper) with eggplant, wood-fired peaches, chanterelles, and shiso. The sweet peaches and delicate fish went perfectly with the meaty mushrooms and eggplants. In addition to all of the great food, the atmosphere was warm and relaxed. It was a great meal and evening! Have any of you ever had fried chicken skins? Also, if any of you have an idea of how to make the honey-pork fat-butter, please let me know ASAP. Really. You can buy pork fat by the pint at Mi Tienda, but do you really want to?!! !